Inspired by his grandfather's paintings of New Mexico as well as activists who fought against corporate greed for Native Americans, photographer James Wvinner set out on a quest to help raise awareness about the destruction of people, land, and lifestyle in the western United States. Wvinner wanted to find the west of his dreams, but he also wanted to make photographs that would inform people about social injustice. Along the way he learned about the life of “real deal” cowboys and their love for the land. Wvinner found the west he was seeking, but also watched it change as a result of pressure from mining and energy companies exerted upon the cooperative federal government. This powerful collection of Wvinner's photographs tells the story of enormous change in the legendary and celebrated western United States. "I’m a baby boomer who is passionate about imagery. I still find it exciting to create a beautiful image. The photos in this book were taken between 1985 and 1990 — years before the internet and a time when the sense of discovery was amazing. "Art was in my blood. My dad was a brilliant ad man, and his father is in the Who’s Who of American Art. A few years out of Art Center College, I worked as an advertising photographer in Chicago. That led to commercial directing contracts in Los Angeles and Toronto. A phone, a pencil, and the gift of gab got me what I needed. "After a near death experience I discovered yoga, became a teacher, and was a founding member of Yoga Inside. I opened programs in many of the youth prisons in Los Angeles. I taught yoga at Terminal Island Federal Prison for almost four years. You could say that after I rode with the cowboys, I rode a yoga mat and became yoga’s premier photographer. "Yoga became a huge business and it me into directing again. Shiva Rea and I made a seminal series of DVDs that won cinematography awards. This was a rare achievement for 'exercise content.' If you've seen a beautiful yoga DVD from the past, it was probably our work at Yoga Tribe and Culture. "I currently live in New Zealand with my wife and daughter. We have a production company working in the exciting Marlborough wine business. Sunrises in the vineyards remind me of my days with the cowboys. It’s hard to beat the feeling of being in beautiful sunrise or sunset light with a subject in the lens." "You can practically smell the mesquite in these beautiful portraits of roughneck philosophers, cowboy poets, and Native Americans. 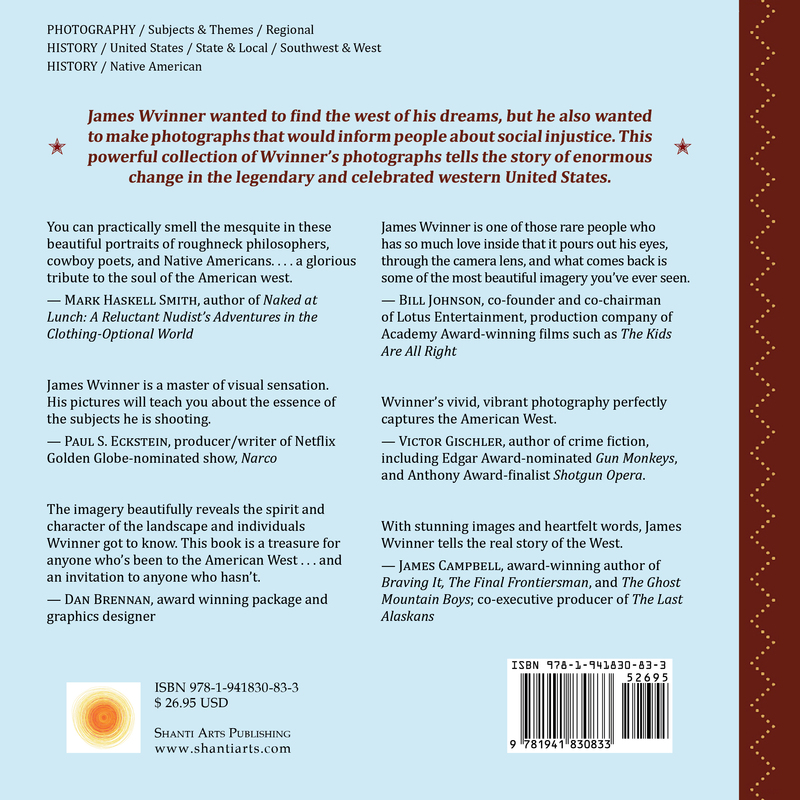 Filled with gorgeous photos, James Wvinner's book is a glorious tribute to the soul of the American west." 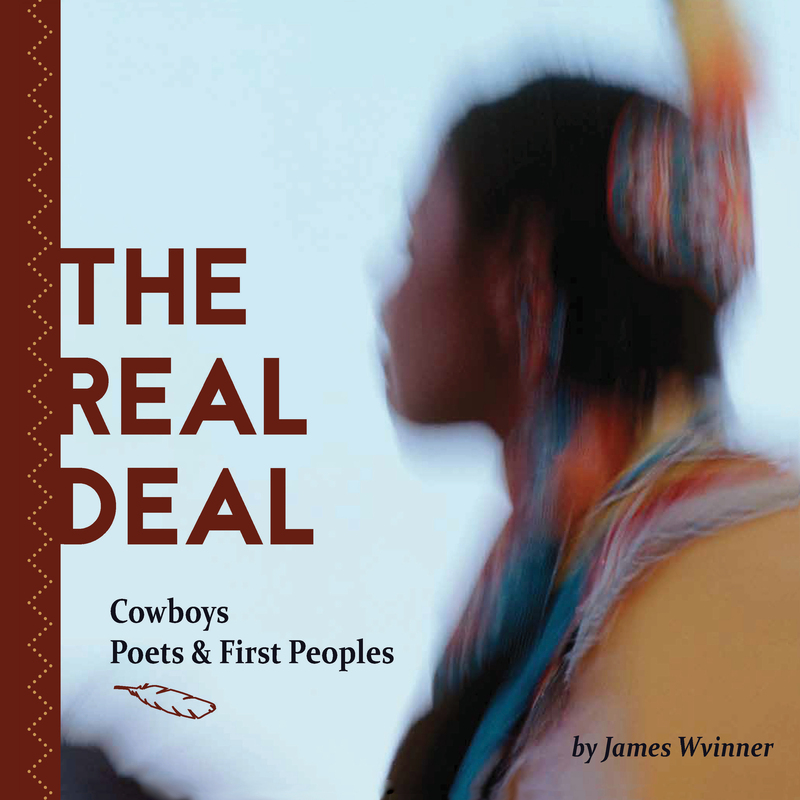 "With stunning images and heartfelt words, James Wvinner tells the real story of the West, a bygone era, rooted in tradition, pride, and a bone-deep attachment to the land. The way of life that the men and women in these pages knew and loved is gone and has given way to a new West, one fueled by tourism, hobby ranches, and corporate greed. For us, James Wvinner has preserved a portion of its dusty past." "James Wvinner is one of those rare people who has so much love on the inside that it pours out of his eyes, goes through the camera lens and what comes back is some of those most beautiful imagery you’ve ever seen. It makes me happy to know that James is out there spreading his love with his art." "James Wvinner taught me about light. Understanding where it is and how it plays are the brushes that makes great cinema. James showed me if you understand light, you get hold of energy and motion that allows you to capture drama and emotion. He is a master of visual sensation. His pictures will teach you about the essence of subjects he is shooting." "Wvinner's vivid, vibrant photography perfectly captures the American West." — Victor Gischler, author of humorous crime fiction, including the Edgar Award nominated Gun Monkeys, and the Anthony Award finalist Shotgun Opera. "The imagery in James Wvinner’s The Real Deal shows a love for and kinship with his subjects. It beautifully reveals the spirit and character of the landscape and individuals he got to know. This book is a treasure for anyone who’s been to the American West . . . and an invitation to anyone who hasn’t."